It’s important to keep your luxury car in good shape so it can keep taking on your Gilbert commute with ease. Thankfully, when you rely on the Land Rover Chandler service department, you can take advantage of service specials so you know you aren’t overspending. Whether your Land Rover needs an oil change, tire rotation, or brake repairs, you can count on us for service coupons in Chandler. Explore our current service offers before scheduling your next appointment! *See Land Rover Parts and Service Department for complete details. *over the counter only, not available with service. *all prices on over the counter sales only. Not to be combined with any service specials. 15% off parts and labor on accessories totaling $250.00 or more. Plus tax, if applicable. Not valid with any other offers. Offer valid only at Jaguar Land Rover Chandler. Save on any parts and labor 15% off. Excludes oil changes. 4 wheel alignment, tire rotation and balance. Plus tax, if applicable. No cash value. Not valid with any other offers. Land Rover vehicles only. Coupon valid at vehicle check-in. Void where prohibited by law. See dealer for other important details. 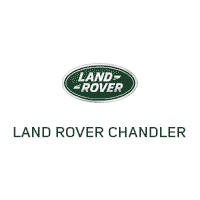 Here at Land Rover Chandler, we’re here for you and your Land Rover every step of your journey together. From simple tire alignments to major transmission repairs, our experienced Land Rover technicians can get the job done. Even if you’re driving a different make or model, you can still rely on us for top-level service for the right price, and plenty of service tips like how to unlock your steering wheel if it gets stuck. Not sure if your car needs a visit to the service department? Be sure to keep up with the Land Rover maintenance schedule as well as your model’s individual manual. You can also feel free to contact our service department to walk you through Range Rover service intervals! When you’re ready, schedule a service appointment and we’ll get your vehicle back to prime condition in no time. We hope you choose us for Land Rover service near Scottsdale.